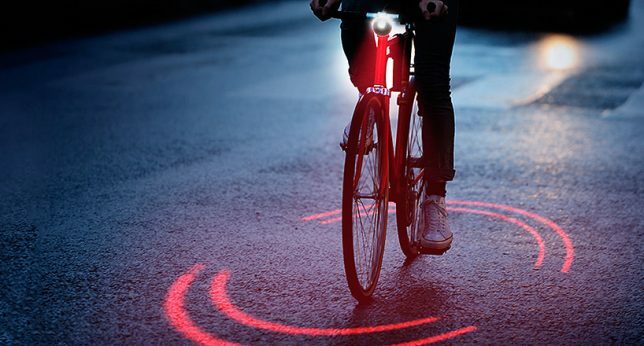 There’s no missing cyclists – or the zone of space you need to safely pass them – when they’ve got a ring of red light encircling them as they ride down the road. 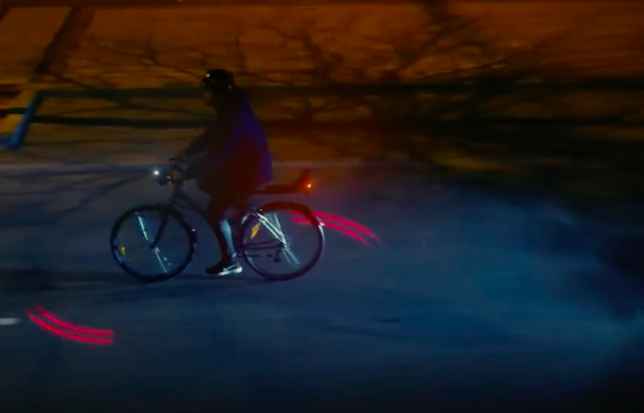 Michelin’s new open-source project, Bikesphere, features a light sensor and proximity detecting sensor that work together to monitor the environment around a cyclist and react accordingly if a car gets too close, pointing a double laser spotlight on the ground to define a safety area. As it stands, riding a bike in an urban area can be a risky proposition, with more than 5,000 avoidable accidents happening every year due to cars passing cyclists at an unsafe distance. 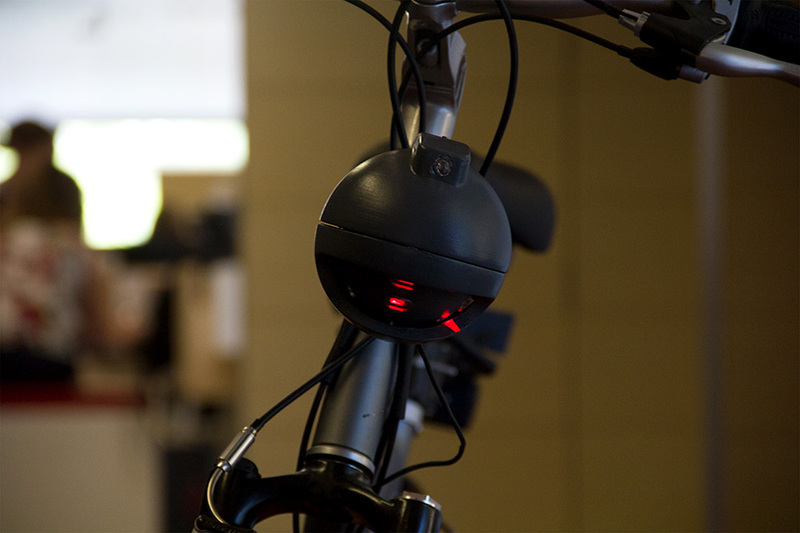 During the day, the Bikesphere works like a normal light-detecting bike lamp, turning on when you go through dark areas as needed. By night, it’s ready to defend you, projecting a single-lined sphere for the entirety of your ride. 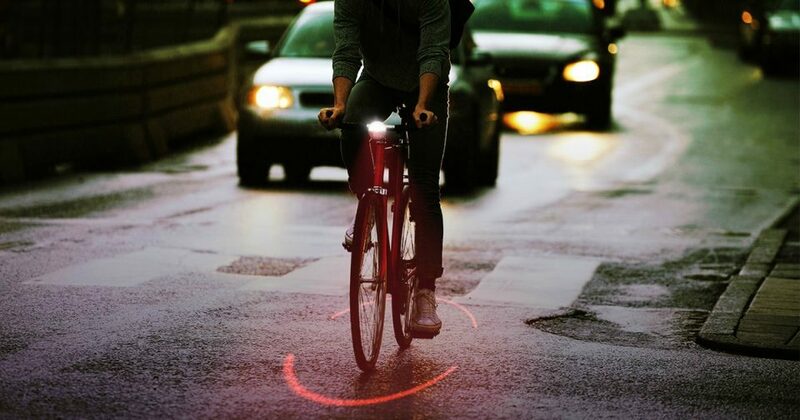 When it can tell a car is coming, the light turns into a double line and starts to spin faster to alert both the cyclist and the driver. 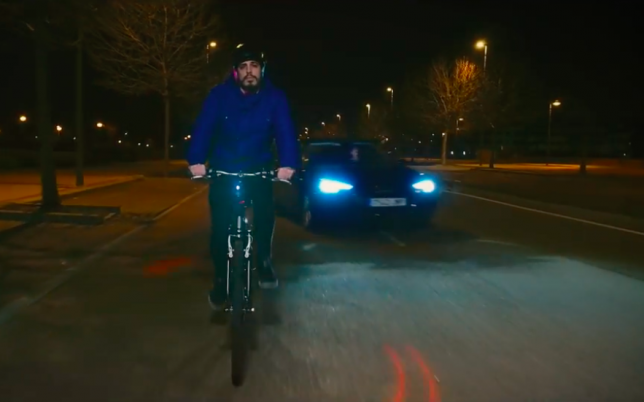 Bikesphere is the first crowd-sourced idea to come to fruition through Michelin’s #TrendyDrivers movement, which aims to change the habits of drivers to make the roads safer. When an idea is approved, they fund the project to get it off the ground. Ultimately, the Bikesphere will be made public, so anyone who wants one can purchase the common components and download the plans to print the rest using standard 3D printers.